Mission | Jim Moon Jr.
Picture of one church’s short-term mission trip. But it’s different. Last night our local church started its annual Short-term Mission Trip to our city. In a park behind the school where we meet. 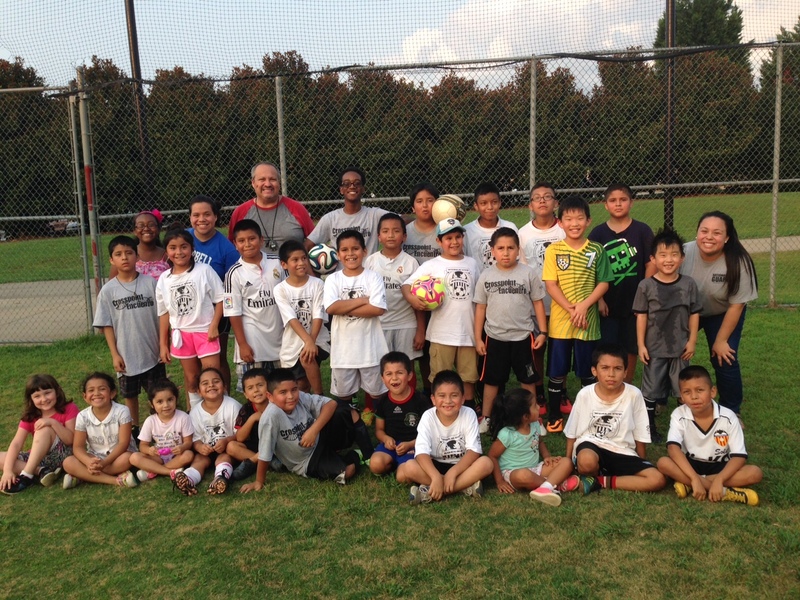 It’s a nightly Fútbol Camp for kids and families. No long trips, no plane rides, no exotic locale. Just right here where we live with our neighbors. 26 kids registered. Their moms, siblings and a few dads came and watched. Relationships started building. I wonder how many will receive Christ? How will God use this ordinary group of Christians to reach ordinary people in an ordinary city on a very ordinary mission ‘trip’? We’ve been praying and reaching out here for years. I can’t wait to see what God does! My role in this outreach is prayer. I’m not the leader – Pastor or Coach Héctor leads us now. But as I sat and prayed with Daniel, our Church Planter in Residence who will start another cross-cultural church nearby, holding the registration cards in our hands like I was taught, I had flashbacks to the first person to train me. My youth pastor, Mr. Mike, trained me to share my faith and lead outreaches in my parents’ basement when I was a sophomore at Marshall High School in northern VA. And now others have been or are being trained to multiply. This is where the action is. Multiplication. Now what Mike, my parents and others reproduced and multiplied into me is transferring into disciples from many nations in our city through people who were not Christians a few years ago. One mom who attended last year is now helping run the outreach. The Best News Ever. This short-term mission trip may not go far away or host big, outrageous games. Soccer draws a crowd and the beginner evangelists show up, make friends and the gospel gets shared. Bigger though, is the impact of training others to share the gospel as part of making disciples. It’s God working in His power! As I pray, I’m grateful. Grateful to God for His salvation offered by faith alone. Grateful for those people who discipled me. Grateful for the chance to disciple others who will disciple others too. Keep having fun, praying for sinners to repent, sharing the gospel, inviting people to receive Christ and multiplying disciples who will disciple others too.